A senior executive at Huawei, the Chinese phonemaker, said he believes the company could dominate smartphones by the end of 2019. 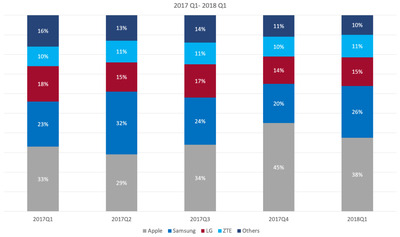 Huawei just overtook Apple to become the world’s second biggest smartphone maker behind Samsung, according to IDC data. This is an impressive achievement given Huawei has effectively been locked out of the US. Huawei has set its sights on becoming the world’s biggest smartphone maker, potentially taking the crown from Samsung. According to preliminary data from IDC, Huawei has already surpassed Apple to become the second biggest smartphone maker in the world. It shipped 54.2 million devices in the second quarter, and had a record high market share of 15.8%. This broke an eight-year streak of Apple and Samsung occupying the top two positions. 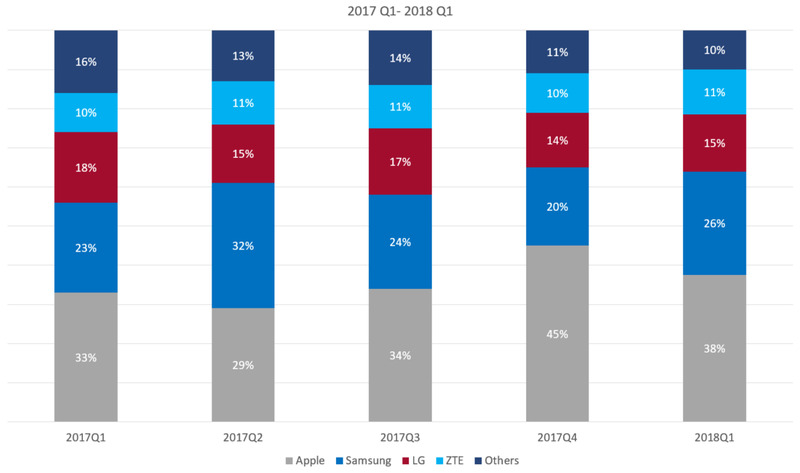 Samsung currently maintains its lead, but IDC said hints from its recent earnings call could signal problems ahead. Huawei has grown despite being essentially absent in the US markets. Alleged connections between Huawei and the Chinese government led to US officials voicing suspicions about the company, and cautioning against buying its phones. CounterpointCounterpoint data for the first quarter shows that Huawei has minimal presence in the US market. This has led to Huawei being effectively locked out of the US market, and a Huawei spokesperson told CNBC: “Huawei is aware of a range of U.S. government activities seemingly aimed at inhibiting Huawei’s business in the U.S. market. However, the company has seen the bulk of its growth from Europe and its home turf of Asia. It is the lead smartphone maker in China, with a market share of 27% according to IDC.